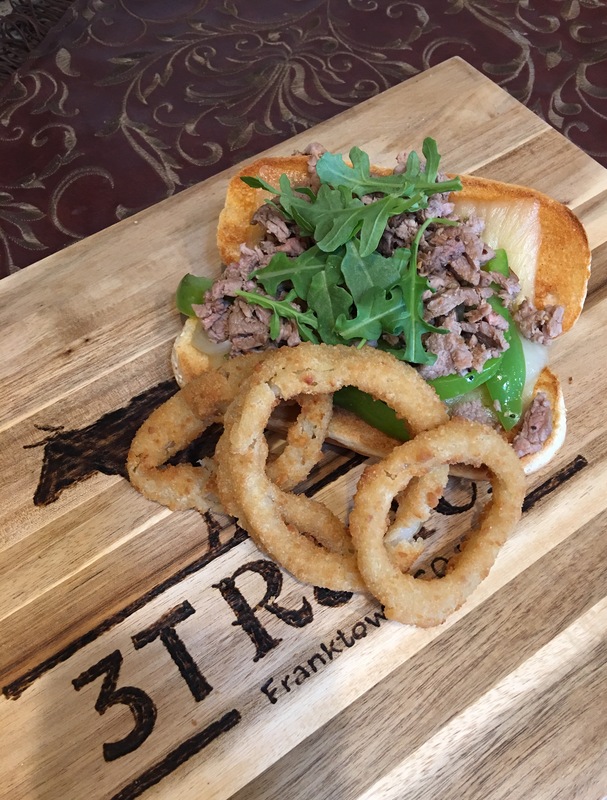 Ever had a soggy cheesesteak sandwich? Not on this outfit! The key to a crispy roll is to broil your bun, melt the cheese, then loan up with veggies and steak. You will be surprised how easy and fast this recipe is! Salt and pepper to taste or your favorite steak seasoning (3T steak is plenty of flavorful on its own). I have only used salt and pepper. I found that the best way to cook thinly sliced 3T meat for this dish is in my wok pan, but you can certainly use a cast iron skillet as well. Get all of your prep-work done ahead of time. Slice your veggies, cheese and meat. While the pan is heating up. Keep your thinly sliced beef on a paper towel. I like the meat to get air dried a little bit. You don't want to steam your meat. The meat should be dry before hitting the pan. Coat your pan with canola oil and sauté your veggies. Once they are done, keep them warm on a cookie sheet in the oven. I keep the oven about 250 degrees. Wipe the pan dry, coat your pan once more with the canola oil and let it heat up again. I did my meat in batches, again you don't want to steam up your meat by overcrowding the pan. Single layer for the meat. It literary took 30 seconds on each side for the beef to cook. Put meat in the oven to keep warm and continue with your meat batches until done. Now, it is time to broil your buns, then put two cheese slices on each of the buns and melt it in the oven. Sequencing is a key with this dish. You don't want to serve a cold cheesesteak sandwich. I even heated up my plates in the oven. It sure helps to keep the meal warm. Take the meat out of the oven and chop it up into small pieces. You can see it in the picture. I find it easier to eat it. Not as messy! Time to assemble. Veggies and meat go on top of the bun with the melted cheese. This really prevents the sogginess. Little bit of arugula on the top. The pepper taste of the greens pairs nicely with the beef. Serve with onion rings or fries! 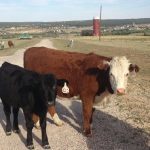 3T Ranch Reaches 100 Cows! 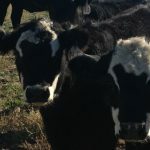 The 3T Ranch has reached a huge milestone this week. 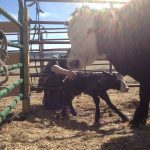 Our 100th cow was born during a sunny morning earlier this week. We have had a decent amount of rain and hail, yet this little creature waited for the sun to shine through and then arrive. 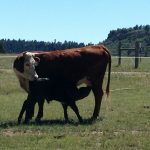 Mama aka "Milk Mustache" (she is all black except her white mustache) and the baby are doing just fine and have already re-joined the herd. 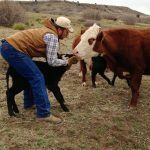 The Cowboss and I have started 3T Ranch about five and half years ago with 10 cows and always dreamed of having 100. Sometime people take the words "hard work pays off" for granted, but it has sure worked for us. 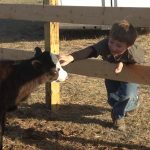 I can't tell you how many times the boys had to feed the cows in a snowstorm with their ski goggles on, so they can see at least a couple inches in front of them or when the Cowboss spent hours with first-time mama to help her through the delivery or when they had to fix fence in the beaming sun.. Yet, we wouldn't have it any other way, our work is so rewarding. 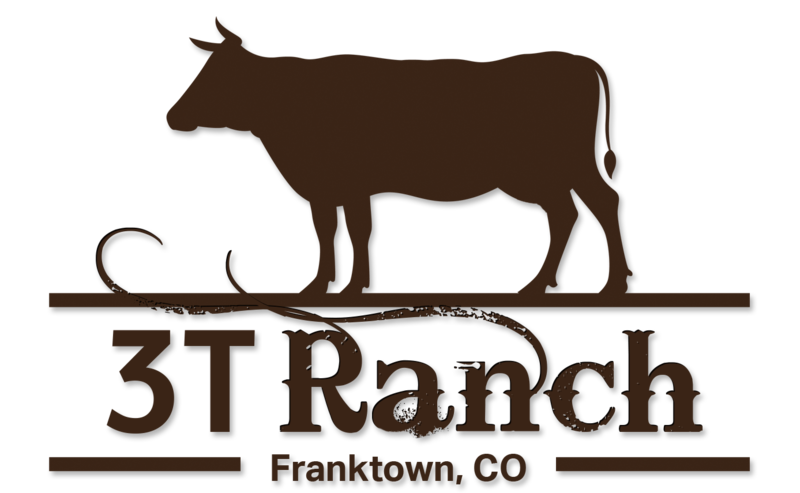 We would like to say a HUGE Thank You to all of our customers who support us, watch us grow and appreciate all the work that goes into our style of ranching. 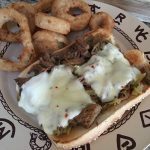 I have been searching for new recipes to add to our "staples dinner list" and came across these Italian Beef Sandwiches. Our family loves roast, our favorite is smoke roast of any kind. The Cowboss does an excellent job smoking our beef, but I have to say these Italian Beef Sandwiches come as very close second! Plus it can't get any easier to make them. Place roast into the crockpot, sprinkle the seasoning and pour the entire jar of banana peppers including the liquid over the meat. Pour in 1 cup of water. Cover and cook for another 4 hours. 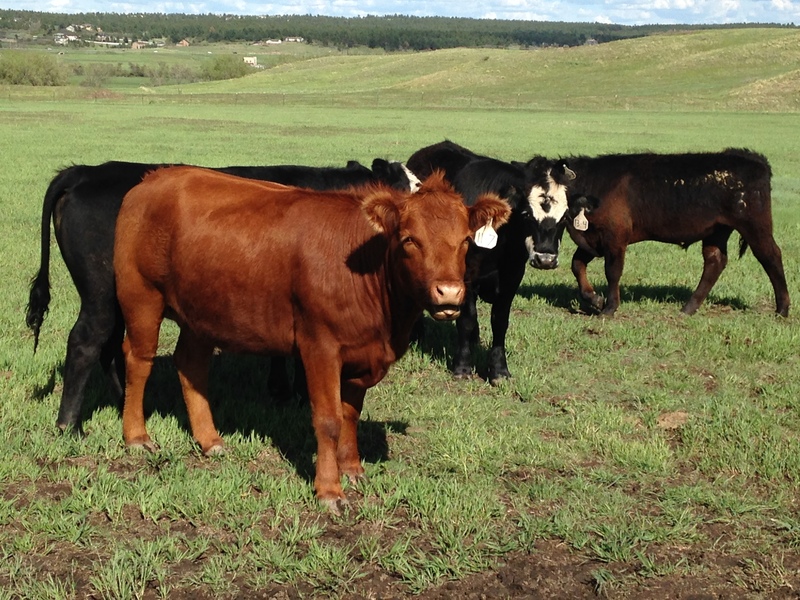 I find that our meat likes the low temperatures better. Shred the meat with forks and place onto broiled sandwich rolls. As you can see in my pictures, I have put the cheese on top of the meat and put it into the oven for a couple of minutes to melt it. My Cowboss had a good idea.. Broil the rolls and melt the cheese and then put the meat on the bun. Extra layer to prevent a soggy bun. Have to give credit to Buns in My Oven website for this wonderful recipe. It is a winner. 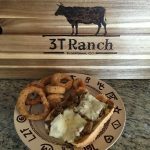 3T Sloppy Joes – Kids Favorite!